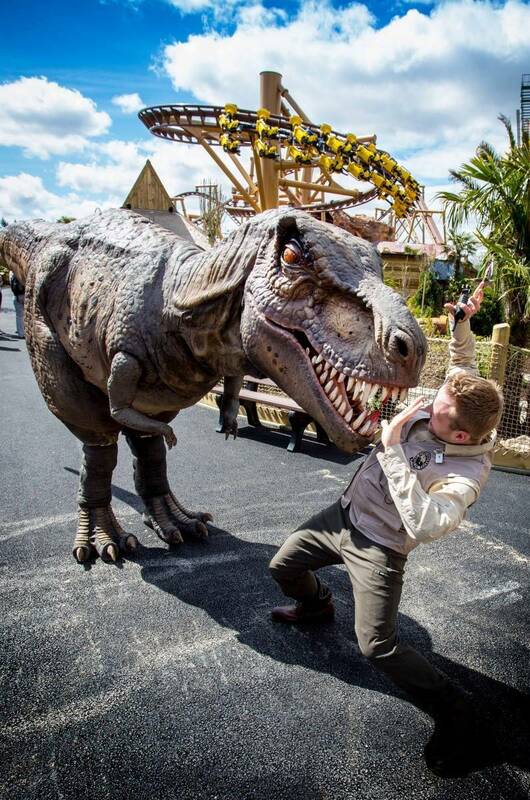 Lost Kingdom at Paultons Park is a dinosaur adventure like no other! Transporting you back 150 million years, when dinosaurs ruled the Earth, see and hear these magnificent creatures. Everyday there will be an incredible opportunity to meet our tame(ish) walking realistic dinosaurs. This amazing coaster gives you a chance to fly high in the skies. 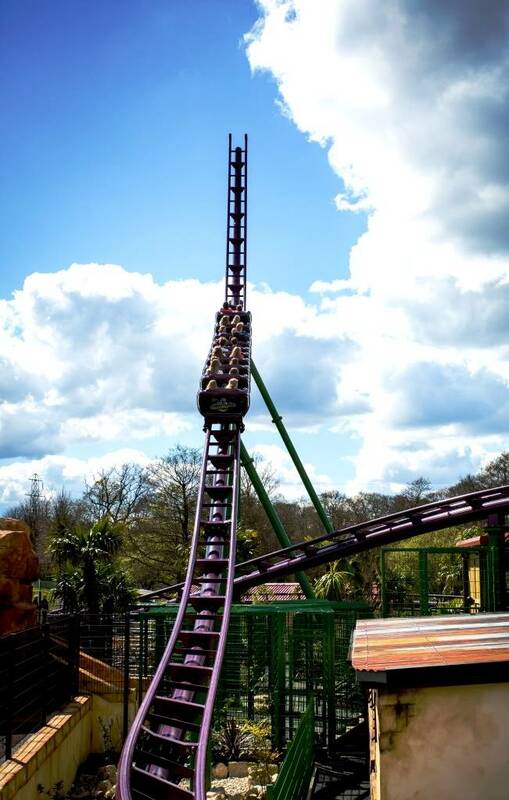 It is a unique 395m suspended dinosaur coaster. It allows families to swoop high and low across the prehistoric land. You must be at least 1.0 M tall (A child must be at least 4 years old and be accompanied by a responsible adult). Children 8 years old and a height of 1.20M or over can ride without an adult. 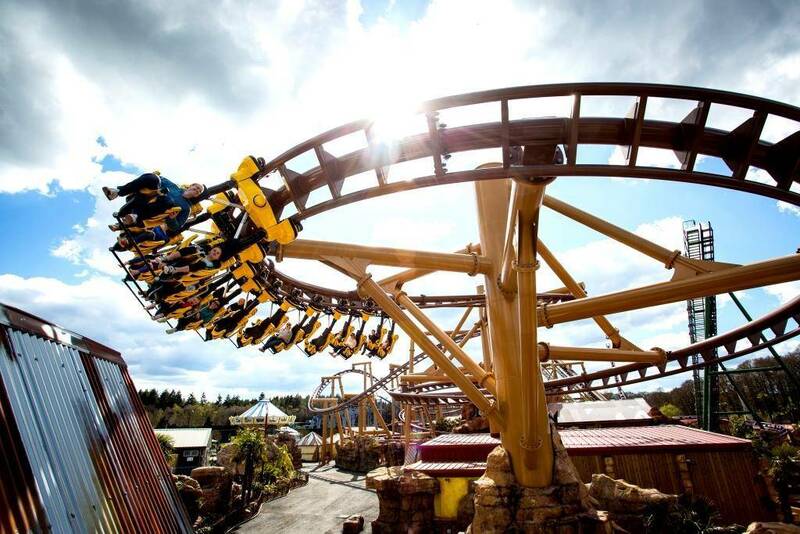 Only the adventurers will board this Boomerang Rollercoaster. 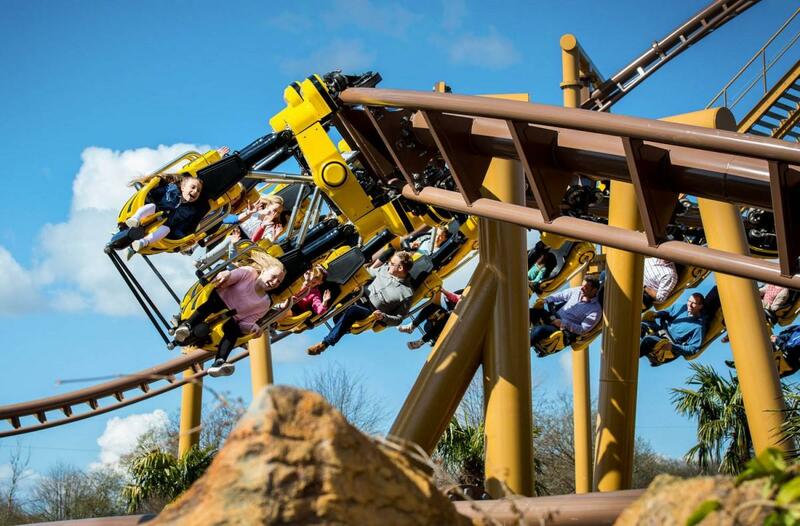 The Velociraptor is a breath-taking 200M dinosaur family coaster. You can sense the speed of agility in the air and how it sweeps around tight bends with speeds of up to 40mph. You must be at least 1.0 M tall (A child must be at least 4 years old and be accompanied by a responsible adult). Children 8 years old and a height of 1.20M or over can ride without an adult. 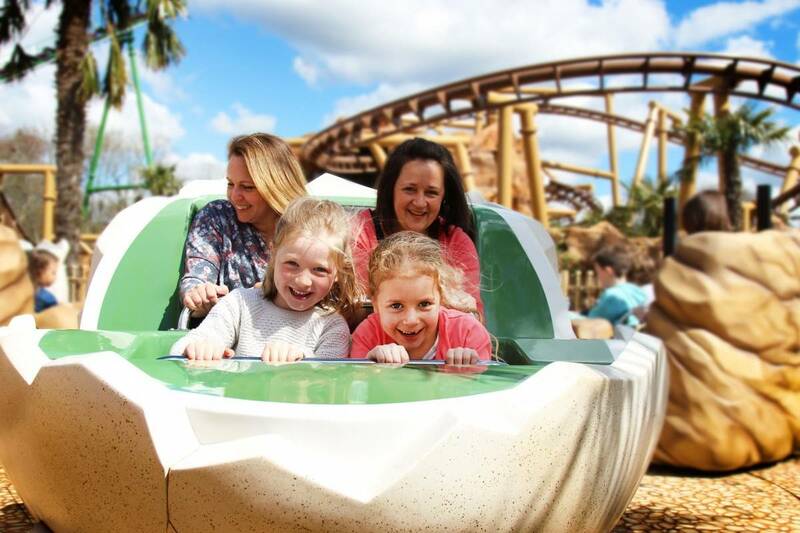 Ride in a huge dinosaur egg or giant stone on the swirling Boulder-Dash. Children under 1.2M in height and 8 years old must be accompanied by a responsible adult. Children under 12 months old are not allowed to ride. 5. The Dinosaur Tour co.
Come face to face with some of the largest most amazing dinosaurs to have walked the planet in your 4x4 Jurassic Jeep. This jeep expedition is an adventure you don’t want to miss out on! Less than 4 years old must be accompanied by a responsible adult. 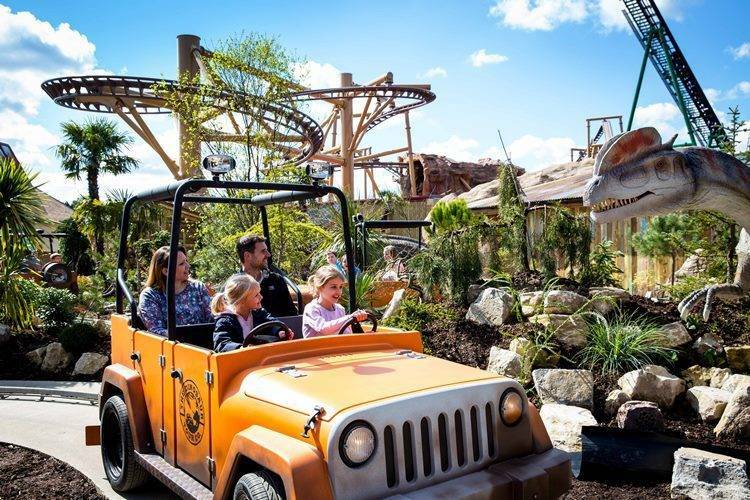 Lost Kingdom is an adventure for all the family, not to be missed!